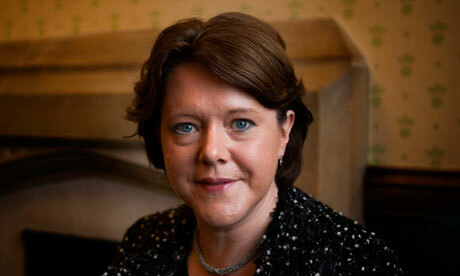 Conservative politician Maria Miller, 50, has been the focus of recent media controversy over the past couple of weeks. After secretly trying to make further, newer restrictions on the fabric of a free press unclouded by disingenuous laws restricting reporting, Miller was found to be scandalous. Her crime was that of abusing the British taxpayer among many others becoming the newest addition to the expenses scandal. The Expenses Scandal, which occurred in 2009 was that of a number of politicians, many senior, and mostly Conservatve (Tory) party MPs, seeing ministers fill in forms to claim expenses for items they bought. These ranged from the lowly 89p items to hundreds of thousands of pounds. Reclaimed and not paid from their own pay packets, the ministers were living it up. Then they were eventually caught by the national press, who all exposed the scandal. Since then ministers have said to have been looking for a reason to control the press from their heavy reporting, often shaming the scandalous politicians rightfully on the front pages. In 2012, after the phone hacking inquiry, a new Press Regulation report was established and finished after years of recommendations by Lord Justice Leveson, dubbed the Leveson Report. Since then ministers, especially Tory ones, to which all of the national press politically support except for two brands, (The Mirror and The Guardian) said they would never regulate the press. 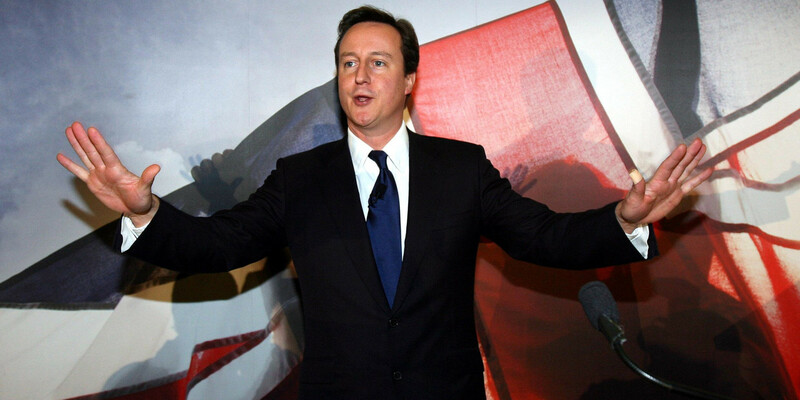 Shortly after, David Cameron, the leader of the Tories decided to revoke that pledge and clamp down on the press. Aiming to make the opposition leaders of the Labour and Liberal Democrats take the blame, the press were disgraced with the decision once it was decided they would place tougher attempts from self-regulation onto journalists. Ministers were then said to look for tougher details in clamping down. 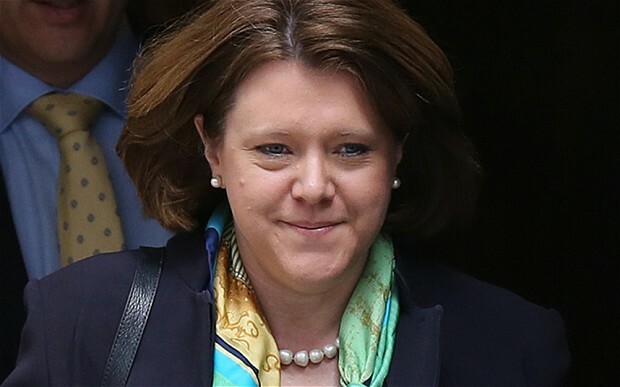 Behind the scenes, Maria Miller, the newly appointed Culture, Media and Sport secretary (which has had a troublesome scandal involvement with every minister in the role since 2010) was allegedly acting in secret. Aiming to re-regulate the already regulated from Leveson reporting press, she is now seeking tougher restrictions to gag the media further. When also questioned by watchdog’s about her expenses abuse, Miller threatened them behind the scenes to keep them quiet. Aiming to shroud her details of scandalous lifestyle in secrecy even further, Miller is now using the preposterous excuse that she is being “witchunted” by the press out of revenge for the Leveson regulation. Miller, who is still seeking a second batch of regulation to this day, is now using this mantle to twist the screw into her favour as a victim. Anything that the press now writes, she will attempt to sully as uncredible and abusive, somewhat of an irony to Miller, who has acted out the exact double standard. They often say, those who say something about someone is actually drawing on a reflection of themselves. This seems to be the case. Miller wasn’t finished there either. She continued to attack media outlets involving television news stations who were doing their journalistic job. Shamed. Miller makes speedy getaway in car. Miller had received numerous requests to stand down and leave parliamentary office for her scandal. She defiantly refused. Leader of the country David Cameron, her party leader also, said that Miller “had paid back the money” and is continuing to now “get on” with her job and shamefully excused her behaviour with the notion that we should “draw a line under it” in reference to the scandalous corruption on offer. Miller paid back a measly £6,000 which is practically pocket money to her. If any other lower class citizen did such scandal they would be fired and leave on no income. Instead, Miller, who earns a whopping £65,000 increased by 11% to £75,000 per annum by 2015 as a sitting MP, which makes her a somewhat of a millionaire, remains in the job. On Thursday 3 March, she issued a hurried, thirty second apology on the advice of someone who told her to. Her insincere apology was not of her own accord. The following week on Tuesday 8 March she wrote another note of her antics in her local paper. Miller, who decided to write it in her local paper rather than in public to the world, attempted to gain more support from a writing piece and pocketed even more cash. Sadistic welfare minister and failed Tory leadership candidate Iain Duncan Smith was grilled on the same day. He advised Miller was being “witchunted” and dodged the question about conning the system. Duncan Smith, who inherited his fortunes through his family, including two homes, is responsible for viciously removing poor people with no money, job prospects or employability skills including sick and Paralympic athletes unfairly from the pocket money benefit aiming to help support people getting back to work or healthy. They earn around £70 every two weeks. Politicians earn £65,000 rising to £77,000 a year, not including expenses claims. If a welfare claimant is “decided” ‘fit to work’ by the unjustifiable measures to remove people from welfare to get numbers down and label them as workshy as David Cameron called them all “workers and the shirkers” when many are ill or poor, they will be sanctioned, removed from benefits for three years and possibly face a prison sentence under a case of fraud. Politicians, however, are allowed to get back on with the job and say no more with a ‘slap on the wrist’ tender talking to. And they say totalitarianism is dead. If Maria Miller had any self respect and humility she would step down, repay the thousands to millions owed and apologise properly on a nation TV stage with a sincere, and not pre-advised from PR friends choice in doing so. This will be the only way Miller may be able to ascertain any honour left in her disgraced run as Culture Secretary and an MP in general. She should stop attempting to blame the press for doing their job, something which Miller has failed to do herself. Trying to attack the press with further regulation would be a mistake and she should drop this. To make it clear, she should make a statement clarifying she will not be regulating the press and allow the Leveson Report to stand as the sole beneficiary to this ideal. If she continues to attack the press, this would be unwise. She will become exposed (through her own fault) of corruption. This is not a press being vengeful. This is their professional job and conduct to the sector respected. Why would she need to re-regulate it? It proves she has many more demons in her closet and could possibly be planning to claim on expenses once again without a second thought. She needs to take a step back and re-assess. There is no way dithering weed David Cameron will sack her. The only reason she kept her job was because she is the second only woman in the Conservative Party alongside Theresa May, which neither female minister has shone a light on a glorious and dignified run in the cabinet positions they have held since 2010. They further taint the female position of politician. By choosing not to sack her, Cameron, who does not want to appear weak and keep his best friends in the jobs with him to his little fan club, who also protect his policies, instead disgraces the political spectrum as shameful. In doing so Cameron and the Tories are once again a corrupt bunch of totalitarian rulers who disgrace the halls of Westminster and all the great Politicians before them. How on Earth did it get to this? The electorate, or people who vote as it is commonly called, further see this insulting and untrustworthy to Politicians who fiddle the figures to own self gain. All in all, any attempt to hide a secret will only ever become bigger and more explosive when the truth eventually outs, as it always does. To hide such details will only prompt journalists to expose the truth. This is not a witchunt. This is a journalist’s job. And if you chose to clamp down on their professional job description, even further since original press regulation, not only are the ministers destroying the job a journalist can do, they are also breaking their own law. At this point it should be the courts who may have to intervene on the politicians and have them overruled for corruption and disruption to the professional sector of a job, in this case journalism. The same applies to all positions in working sectors. Not even a politician is allowed to change a job description or remove them from the public sphere because politicians are childish babies that do not like to hear anything bad about them when they put their feet out of line. No one is above the law and it is a journalist’s job first and foremost to hold all to account, including ruling elites. This is a further endorsement to the electorate that the Democratic nation of Great Britain has been constantly turned into a totalitarian United Kingdom under far right wing extremism with nationalism as its key function. Written as of 8th March 2014. On Wednesday, 9 March 2014, Maria Miller chose to resign of her own accord. David Cameron today disgraced the Houses of Parliament further by continually choosing to attack opposition leader Ed Miliband where Miliband said it was “his job to sack ministers” should they break the law. Cameron traded vicious spats of assault claiming Miliband, just like the rest of the British public were, “jumping on a political bandwagon” in order to blame Labour once more for all of the Conservative scandals. This is the government in place. A corrupt, self serving, abusive batch of friends who then excuse their behaviour as justified. Anyone else is vilified and disgraced instead. Once again, ruling elites prove they can get away with fraudulent and criminal activity. The average commoner, would serve years imprisonment and never likely to receive a respectful job title ever again. The UK public believe Cameron has handled the crisis badly by 2/3 in an itvnews poll supported by Comres research. It also proved the public trust politicians less at 49% tied with behaving badly. Cameron continues to defiantly disagree and argue that Miller had done absolutely nothing wrong. Morally wrong, the Conservatives are seen as a party that abuses, fiddles the details for themselves and smears opposition where possible. Anything they disagree with is decided and no responsibility is taken. This is another shameful disgrace that tarnishes the greatness of this beautiful country which is a big player in democratic rights, formerly known from 2010 as Great Britain. 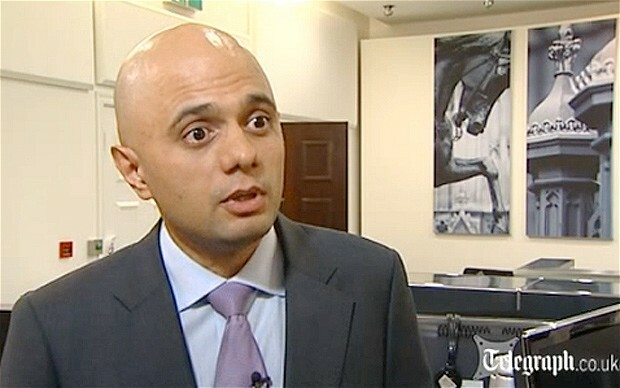 As of 10 March 2014, Sajid Javid was ushered into the position of Culture Secretary amid Miller’s resignation. Javid is a ‘working class’ politician who worked his way up, sources say. Of Pakistani origin and former Economy Secretary once again the Tory party have been accused of playing favourites with Cameron’s personal choices of loyalty to him. A poster boy to try to connect with voters as ‘ordinary’ and involved in the economy, many believe this is simply bureaucratic quota reaching. Cameron pledged since 2010 he would have 40% of female ministers which has monumentally failed. Many still believe Javid is, as everyone before him including Miller and the also scandal ridden, now Health Secretary, Jeremy Hunt, as unqualified for the position. The general election, in May 2015, is where the Tories are focusing on gaining a ‘working class vote’ to be re-elected after a failed majority in 2010. Miller is still not being placed into the criminal justice system to face charges of fraud highlighting that politicians can break the law under Her Majesty’s ‘Secret State’. Simply put, she got away with it. You wouldn’t. She had two homes, two children and a husband, who is a solicitor.